The year is fresh and new, and full of promise. Can you say the same about your skin? 🙂 Winter can be hard on our skin, even those of us who live in fairly moderate climates. It’s a good time to reevaluate your skin care routine. I recently added something called a “sleeping pack” to my nightly routine. What is a sleeping pack? 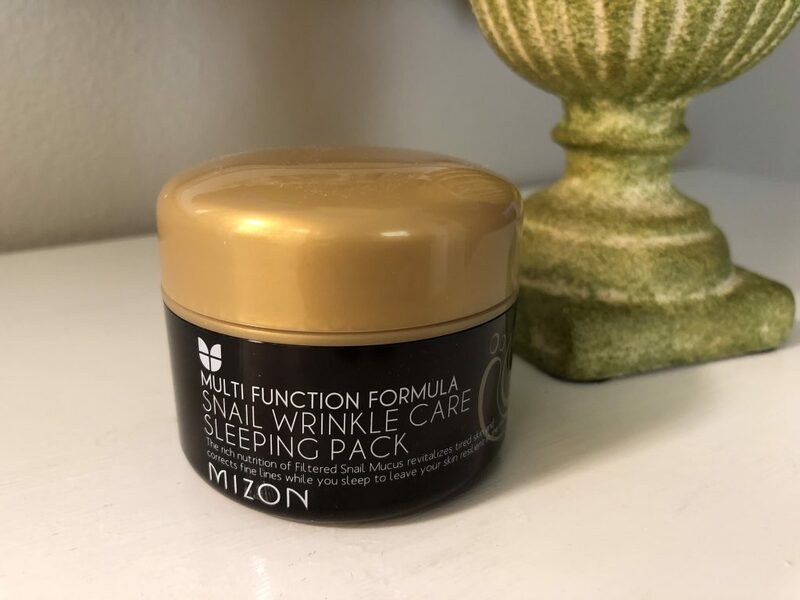 We have those wonderful folks who make the wildly popular Korean skincare products to thank for sleeping packs. They are also sometimes called sleeping masks. They are thick creams applied at night right before you go to bed and they offer intense hydration while you sleep. If you have done any research on Korean skincare routines, you have learned that they are probably very involved when compared to what we gals in the Western world do. Their routines often include up to ten steps. The sleeping pack is the last step after you have cleansed, exfoliated, toned, and applied your night cream. The next morning when I rinsed my face it felt very soft and smooth. And it remained soft to the touch throughout the day. I really like the way my skin feels after using this sleeping pack. I just have to remember to go very easy with how much I use. 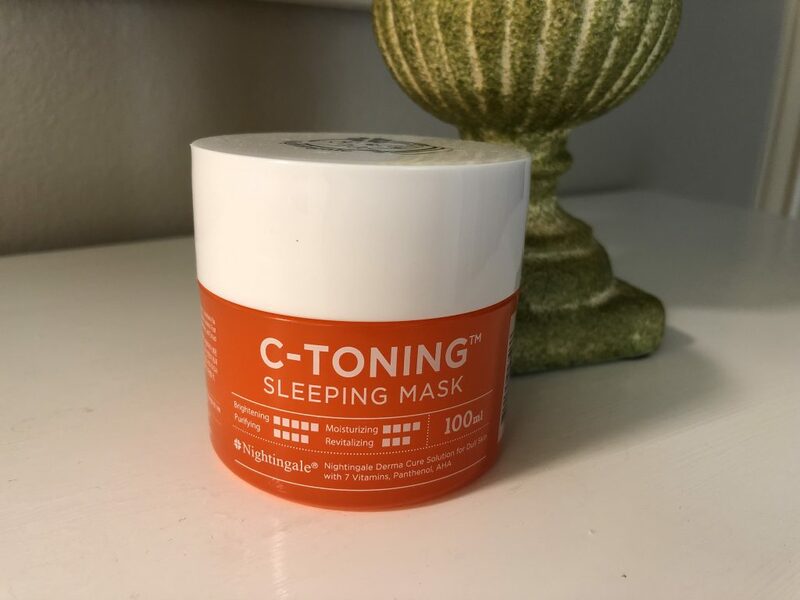 Next up is the C-Toning Sleeping Mask. This one says it helps brighten and hydrate skin, and evens skin tone. This mask feels much more like a cream than the snail pack. It is not slimy and goes on just like a night moisturizer. It smells citrusy. You still want to be sure not to use too much so that it absorbs into your skin overnight. I had no stickiness issues with this sleeping mask at all. The next morning my face felt very smooth, just as with the snail pack. I didn’t really notice that this one did anything different or better than the others, but I like the way it smells and use it in rotation with the others. 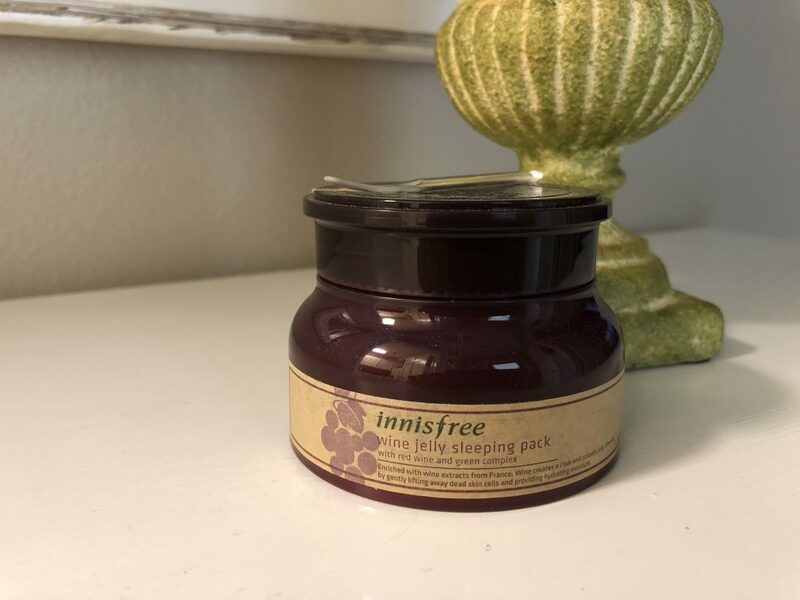 Next I used the Innisfree Wine Jelly Sleeping Pack. Innisfree products are very popular with a loyal following. 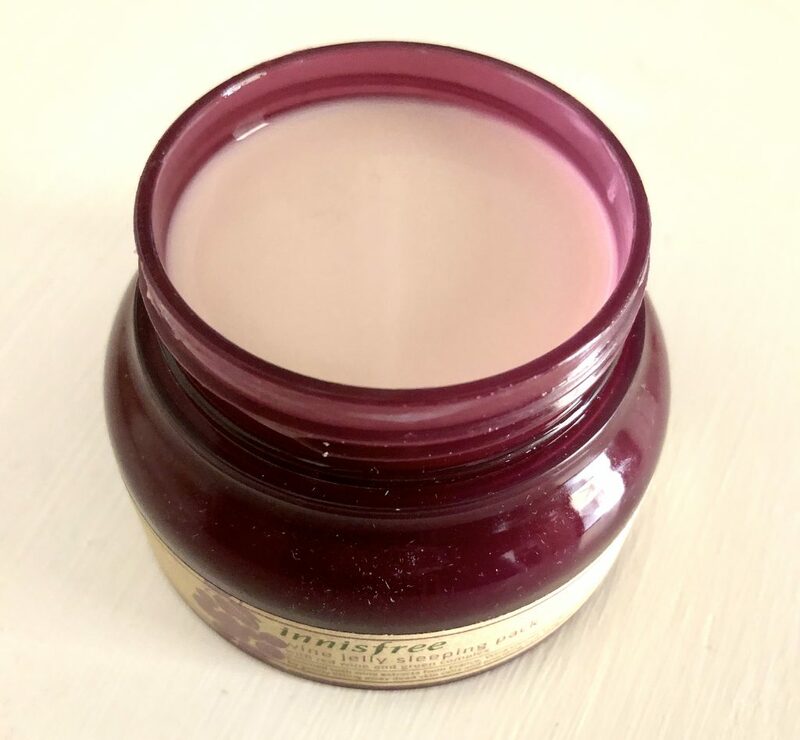 This product says it contains red wine extracts from France that help lift away dead skin cells and hydrate the skin, making it more radiant. Some reviewers have mentioned the wine scent and how they love it just for that. 🙂 I didn’t find that to be the case. To me it smells more like grape candy. Not that there’s anything wrong with that. I’m not just tempted to drink it from a glass like some say you might be tempted to do. This one looks and feels a bit like creamy yogurt. 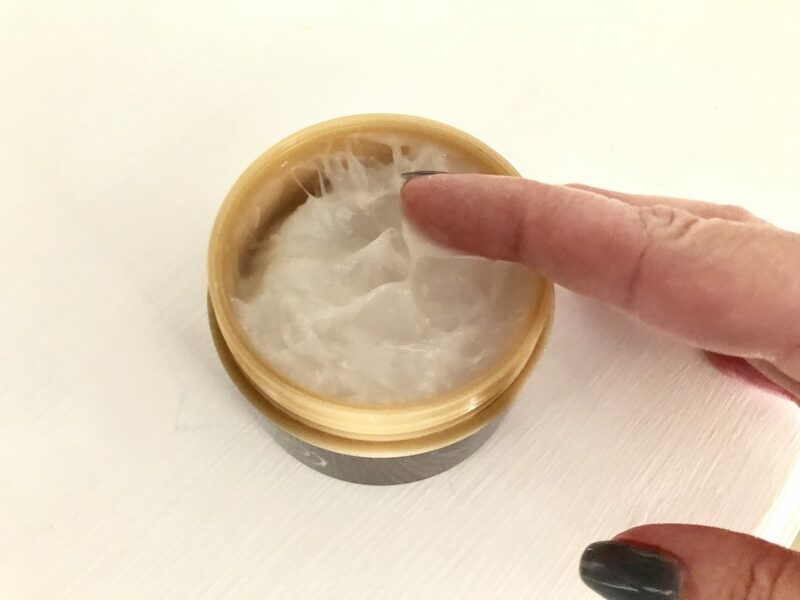 It does claim to help with skin elasticity, and I have noticed that after I scoop a little out when I use it, the next morning it has completely filled back in and the top is smooth again, like I never used it. 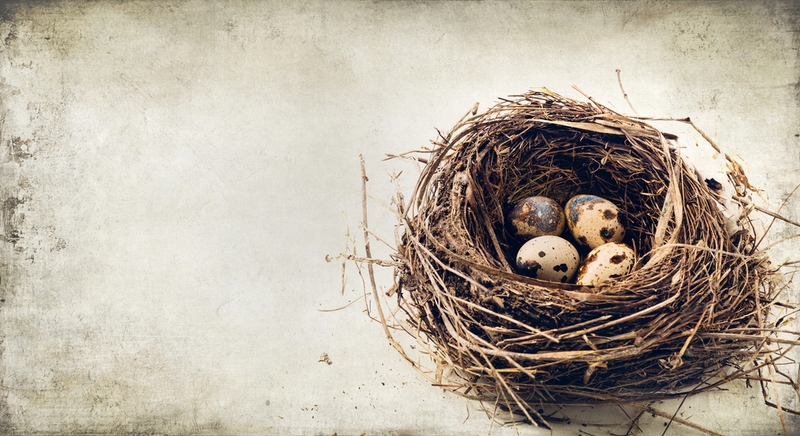 So it seems to have some elasticity itself, able to return to its original shape. It is not slimy and absorbs quickly into the skin with no pillow stickage. Like with the others, my skin felt very smooth and soft the next morning. I chose to try the All-In-One Repair Cream and the Repair Intensive Ampoule. What is an ampoule? 🙂 Ampoules fall into a similar category with serums, only they are said to be supercharged with higher concentrations of the ingredients they contain. As I understand it, they are meant to be used to target specific issues, and are not necessarily an everyday product. They often come in smaller bottles than other products and are usually dispensed using a dropper. 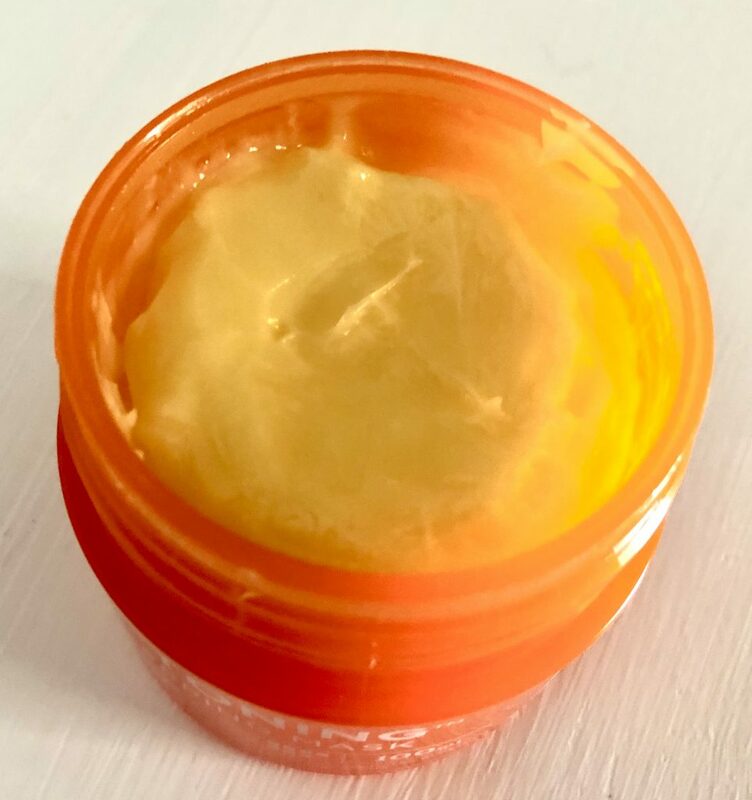 The Snail Repair Cream is a different consistency than the sleeping pack, but it is still on the slimy side. The Repair Ampoule is a bit like an oil and one portion from the dropper is ample to cover my entire face. I really like all of these sleeping packs and related products. If you like to keep your skincare routine simple, all of these Korean multi-step applications can seem like a lot. I myself wrote a blog post a while back about how I have tried to simplify my routine. And I have stuck with that, for the most part. But I have added these snail products and the sleeping packs. 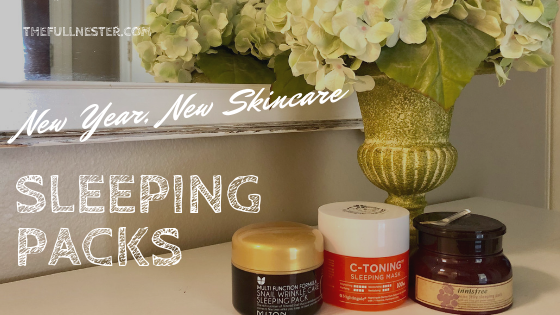 Cleansers, exfoliants, serums, essences, ampoules, sleeping packs, oh my! 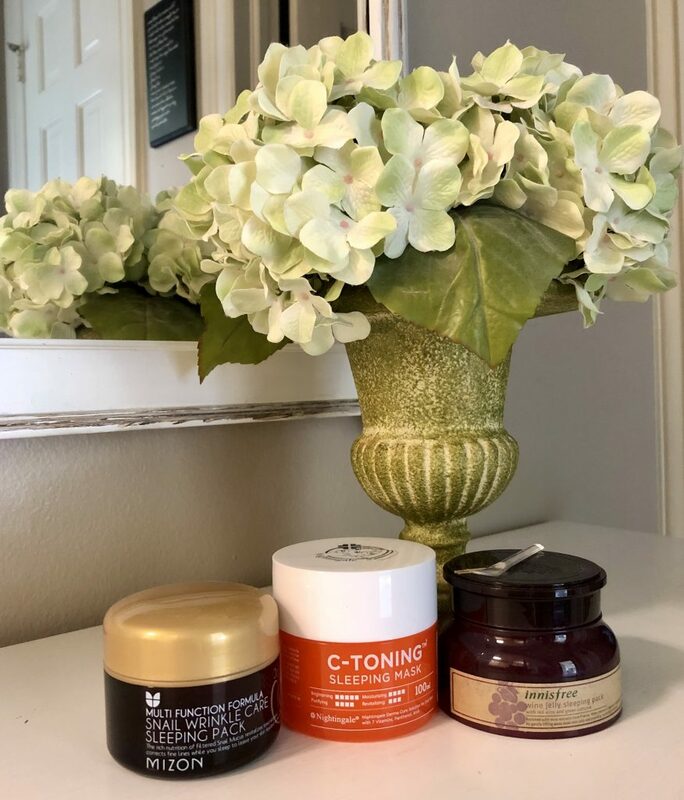 🙂 From everything I have tried to learn about these products, the general rule is to apply products from the lightest consistency to the heaviest. 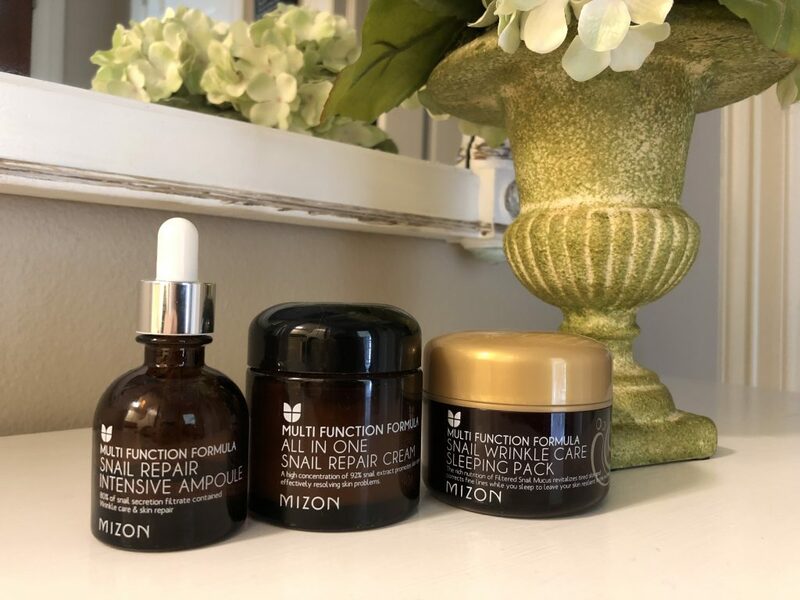 I cleanse my face, exfoliate regularly, then apply an essence or ampoule, then a moisturizing cream like the snail All-In-One Repair Cream. Then when getting ready for bed I apply one of the sleeping packs. Then I wake up to really hydrated soft skin. Who doesn’t want that? 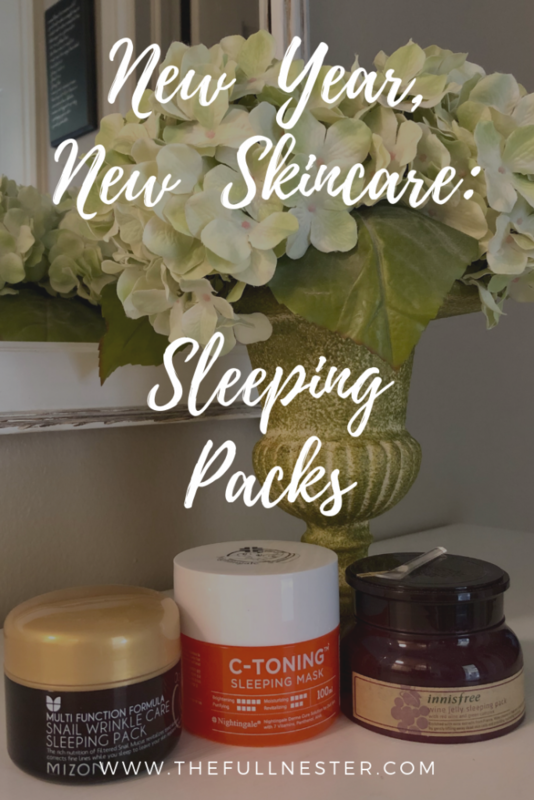 If you find your skin needing a little something extra this time of year, or if you are wanting to try something new in your skincare routine, give sleeping packs a try. I’d love to know what you think!